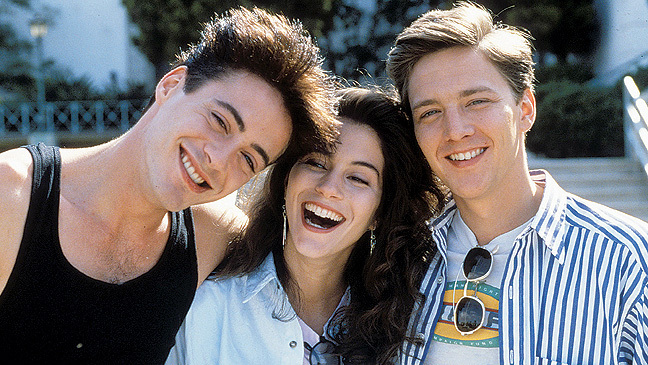 The eighties were perhaps the most prolific decade for teen films since The Golden Age, the 1950’s. James Dean’s effortless “cool guy” vibe and the longing for a teenage rebellion was finally brought back to the big screen. And for once, these films didn’t belittle teenagers nor portray the struggle they lived seem petty or foolish. Teenagers were finally able to see a more accurate portrayal of themselves in film…most of which remain widely relevant today and are hugely responsible for influencing and inspiring teenagers and adults alike. 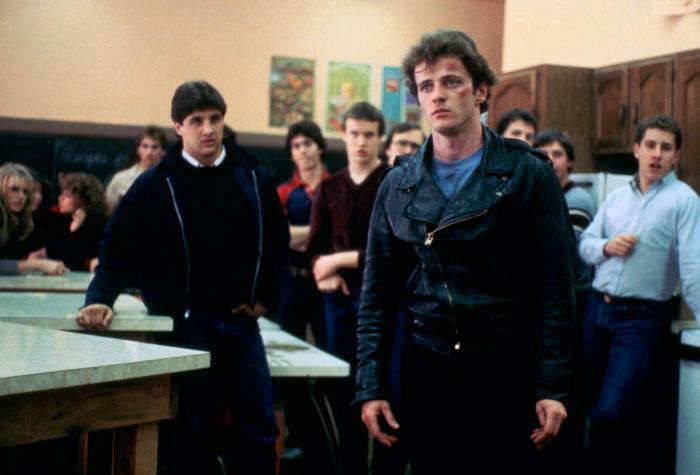 Tension brews between two rival gangs, the Greasers and the Socs, the lower and upper class. A gang war breaks out when a member of the Socs is murdered in a gang fight by Johnny, a Greaser. Johnny and Ponyboy flee to a secret hideout for a week until deciding to turn themselves in and claim it was self defense. On their way back, they spot a church on fire and in an attempt to save the children trapped inside, Johnny gets critically injured. Meanwhile, the Socs and Greasers plan a turf war. Based off of the S.E. Hinton novel by the same name, The Outsiders follows the original storyline precisely. Most of the main cast of the film were relatively unknown but were later launched into stardom, including Rob Lowe, Patrick Swayze, Tom Cruise and Emilio Estevez. 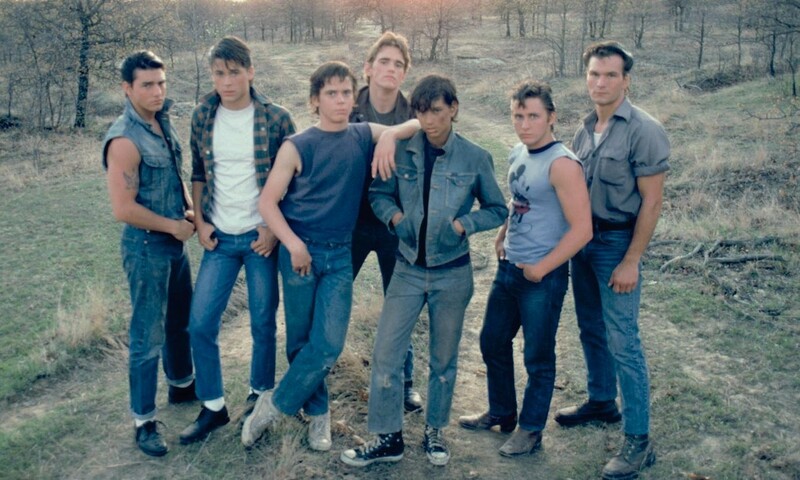 The Outsiders has many underlying themes such as abandonment, the consequences of being reckless and the divide between the two social classes. After Jamie is murdered by her boyfriend Samson, their friends have to try to cope with the situation. They go to view her body repeatedly which was left by the edge of the river. Half of them want to help protect Samson while the other half want to turn him into the police. However, none of them are that disturbed by Jamie’s death. This unsettling dark film is bound to make you feel uneasy. River’s Edge was inspired by the real life murder of fourteen year old Mercy Conrad who was sexually assaulted and strangled by her sixteen year old boyfriend who, like in the film, bragged about killing her and showed off the body to multiple people. It’s hard not to feel sick to your stomach while watching this film. The acting in this film, most noticeably by Keanu Reeves and Dennis Hopper, is remarkable. It’s a haunting film that shows just how disturbing apathy can be. The story surrounds Otto, an angry young punk rocker, who recently quit his job after punching a coworker and was dumped by his girlfriend. While he is wandering around town smashing beer bottles in frustration, he is approached by Bud, a repo man, who asks him to help steal a car. He complies, and in return gets hired as a repo man. Meanwhile, a bounty is issued for a 1967 Chevy Malibu that’s carrying extraterrestrial cargo. 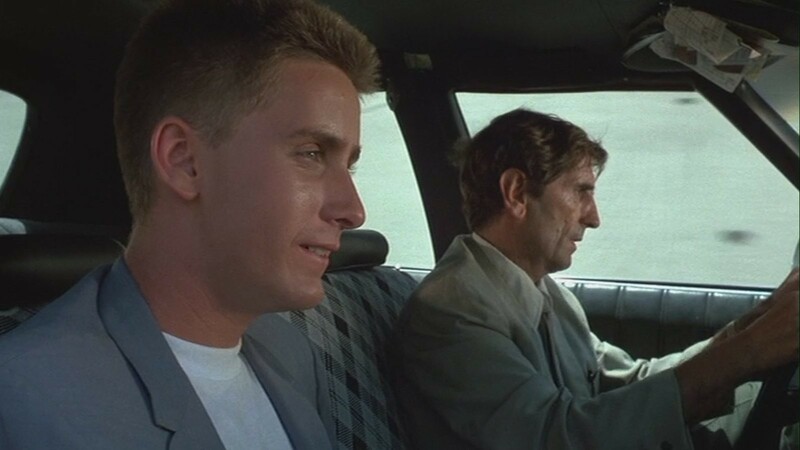 Repo Man has since received a cult following since it’s release in 1984. It’s a bizarre absurdist film filled with punk rock music, drug and alcohol abuse, offbeat dialogue and aliens. The film is full subtle sight gags that mock the commercialism of the eighties. Emilio Estevez does a fantastic job portraying an angry young punk down on his luck and Harry Dean Stanton excels as Bud. The soundtrack is fantastic and contains classic punk songs by Iggy Pop, Suicidal Tendencies, Circle Jerk, and more. Madge, Deidre, Annie and Jeanie are four best friends dealing with contrasting issues. Madge is unhappy with her weight, virginity and her overprotective parents. Deidre is engrossed by her sexuality and, in return, deals with numerous boyfriend problems. Annie ran away from her abusive father, drinks heavily and does copious amounts of drugs. Jeanie is dealt with the task of taking care of her three friends and desperately wants to move out of her mother’s house. With all of the pressure and stress that surrounds them, the only way they can relax is to party and have fun. But when Annie starts to get out of control, all of them are put on edge. This film’s realistic portrayal of teenagers in the early eighties is what sets it apart from other movies. The way the girls dress, act, and talk to each other feels completely natural. Cherie Currie, the lead singer for the Runaways, does a remarkable job in her acting debut as Annie and Jodie Foster gives a convincing performance as Jeanie. Foxes’ raw, gritty feel makes it authentic in its representation of angry teenaged girls growing up in the eighties. Nerdy college students Gilbert and Lewis begin their first year at Adams University and must adapt to the taunting and bullying from the Alpha Beta fraternity. The jocks accidentally burn down their frat house and the freshmen are tossed out of their dorms. Gilbert and Lewis soon realize that they must start their own fraternity with the help of their new friends Booger and Pointdexter. Thus starting a war between the nerds and jocks. 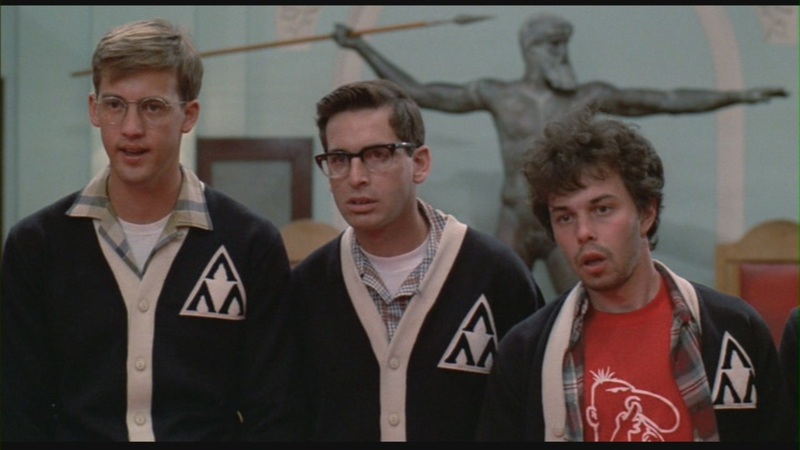 This film is a classic tale of geeks versus bonehead jocks and serves as an anthem for every teenager who was ever teased or bullied for being smart and unathletic. It’s full of cheesy dialogue and raunchy scenes. This underdog film has received a huge cult following after it’s release and has spawned several sequels. Clay, a college freshman, decides to go home to Los Angeles to spend his Christmas vacation with his wealthy dysfunctional family. His ex-girlfriend Blair is now dating his former best friend, Julian, and both of them have succumbed to heavy drug use. Julian is now homeless after being cut off by his family and has been reduced to stealing to support his addiction and to pay back Rip, his drug dealer, to whom he owes over fifty grand. His addiction worsens and he is soon forced into prostitution to work off his debt. This film is great because it doesn’t belittle or glamourize drug use and it has brilliant acting performances. However, this film is widely criticized for being almost nothing like the Bret Easton Ellis novel by the same name. The only thing that the two mediums have in common are the title and character names. But if you are able to look past the differences, it’s truly a remarkable film. When Ren, a rebellious teenager, moves from Chicago to a small town in the Midwest where rock music and dancing are illegal, he is faced with a struggle to deal with the restriction. Ren and his peers want to abolish the fascist law, especially with prom just around the corner, but only Ren is brave enough to initiate a rebellion. Footloose is loosely based on the events that occurred in Elmore City, Oklahoma in 1978. In the small, religious town, dancing had been banned for over ninety years until a group of teenagers challenged the law. Director Herbert Ross was successful in his attempt to effectively capture the repression and rebellion of teenagers in Elmore City. The film was criticized at its release for being an attempt to cash in on the money that was being made by dance films at the time such as Saturday Night Fever. The new music teacher, Andrew Norris, has to adapt to teaching in a violent high school where students are searched and forced to go through metal detectors before entering the building. When Andy discovers that a group of students, led by piano prodigy Peter Stegman, is running a drug dealing business in the school, he does everything he can to try to put it to an end. However, the hooligans refuse to let anyone stand in their way. The director, Mark L. Lester, said that this film was widely inspired by A Clockwork Orange and real news stories of school violence that he read in the newspaper. This exploitation classic has it all: a theme song by Alice Cooper, drug dealing punk and graphic violence. It’s unsettling, unnerving and bound to leave a lasting effect on you long after the credits roll. The story surrounds high school students Johnny Rourke, a defiant outcast, and Tracey Prescott, a wealthy cheerleader. When they get paired up at random for the ‘Tin Can-Can’ dance, the two quickly fall in love. Social classes collide and Tracey is faced with the decision to either play it safe stay with Randy, her current boyfriend, or to take a risk and choose Johnny. This film has been hailed by some to be the Rebel Without a Cause of the eighties. Daryl Hannah and Aidan Quinn have enchanting chemistry together that makes the typical storyline come alive. This paired with an excellent soundtrack makes this film a must see for those who love eighties teen romance films.